Smoking is injurious to health and can cause all sorts of complications. It can cause irreversible damage to your lungs and affect other parts of your body as well. It is also common to have a sore throat with smoking, which is the result of continuous inhalation of tobacco smoke. You may not know yet but inhaling that tobacco smoke exposes your throat to more than 7,000 chemicals, and about 70 of those chemicals can cause cancer. Any type of smoke may cause irritation in your throat, but tobacco smoke is a common culprit, which is mainly because it contains chemicals like acrolein and formaldehyde. These chemicals are actually the byproducts of burning tobacco, and since tobacco smoke contains a high concentration of these irritants, you will eventually have a sore throat from smoking. Here is more about how smoking can affect your throat. You are likely to experience hoarseness when you smoke regularly. There may also be a raspy quality to your voice, which shows that smoking is causing vocal changes. You may also experience other symptoms such as frequent throat clearing and a sore throat. People who smoke are at an increased risk of developing chronic laryngitis, which can weaken and deepen your voice. You are at an increased risk of developing cancer of the tongue, lips, throat, mouth, and larynx when you continue to smoke over several years. All forms of tobacco are equally harmful. If you develop cancer of the larynx or throat, you may experience symptoms like vocal changes, bleeding from the throat, lumps or growths in the neck or throat, and difficulty swallowing. Be sure to talk to your doctor immediately if you smoke and experience any of these throat-related symptoms. When you develop a sore throat due to smoking, you can certainly try a number of natural remedies to feel better. However, you need to understand that most of those remedies offer temporary relief and your problem may return if you continue to smoke. It means that you should quit smoking to treat your sore throat permanently. Here are some ways to relieve your sore throat. Your throat becomes dry because of smoking. 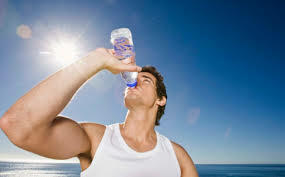 Therefore, you need to take steps to hydrate your throat for which you can take plenty of clear fluids. Be sure to rest your throat as well and eat soft foods for a few days. Using a humidifier in your home may also help add moisture to the air and ease the dryness in your throat. 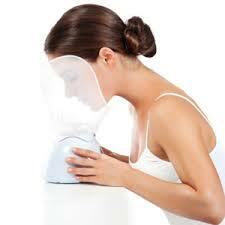 You can try a home facial sauna treatment to help make breathing easier and treat your sore throat. Simply take a bowl and fill it with boiling water. Add a few drops of decongestant to the water and inhale that steam. Be sure to use a towel to cover your head so you could inhale the vapors easily. This relaxes the blood vessels in your throat and eases your pain too. You can gargle with salt water to reduce inflammation and improve blood circulation in the throat, thus relieving sore throat from smoking. Fill a tumbler with warm water and add half teaspoon of salt to it. Dissolve the salt completely and then use this solution to gargle. Ensure that you do not swallow the solution. Repeat 3-4 times a day for relief. Using fresh lemons may help offer some relief from your sore throat. It really helps remove mucus and makes breathing easier. Mix a teaspoon of honey and juice from half a lemon in a cup of warm water and sip it slowly for pain relief. 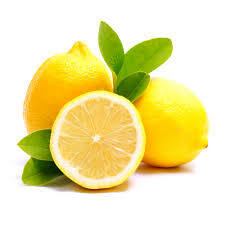 You can also squeeze a lemon in warm water and use the solution to gargle. This also helps reduce throat inflammation. 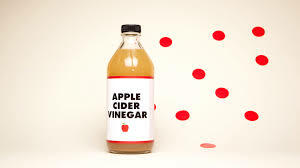 Apple cider vinegar has antibacterial properties that prove beneficial in the treatment of your sore throat. Take a cup of warm water and add a teaspoon of honey, a teaspoon of lemon, and a tablespoon of apple cider vinegar to it. Mix well and drink it slowly. Do it thrice a day to relieve pain and inflammation in your throat. 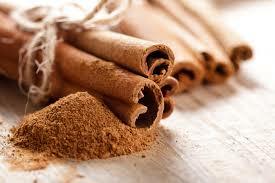 You can use cinnamon to relive your sore throat from smoking. The remedy proves more effective when your sore throat is the result of the common cold. Take a glass of warm water and add a teaspoon of black pepper powder and a teaspoon of cinnamon powder to it. You may also add cardamom to make it more effective. Strain the solution first and then gargle with it thrice a day. 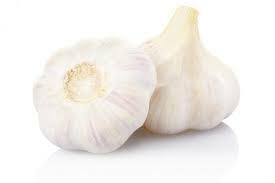 Thanks to its antiseptic and antibacterial properties, garlic can really help treat your sore throat in a short time. You can simply eat a raw garlic clove a day for pain relief. Garlic has a chemical called allicin, which eliminates bacterial infection and treats your sore throat. You can also eat garlic in cooked form. Garlic pills are equally effective and you can try them if you do not like the taste of raw garlic.